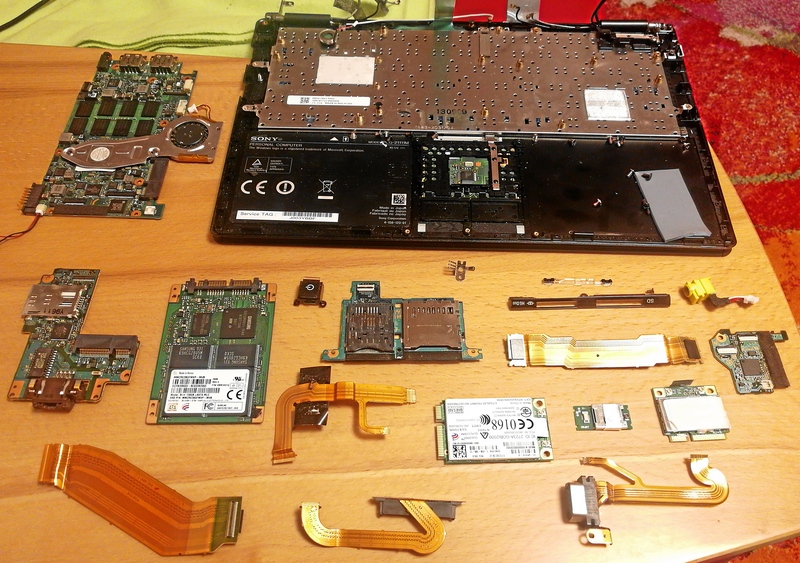 Discussion in 'VAIO / Sony Owners' Lounge Forum' started by dimension6, Oct 23, 2009.
since the X's SSD are soldered on board, I am afraid there isn't much you can do. 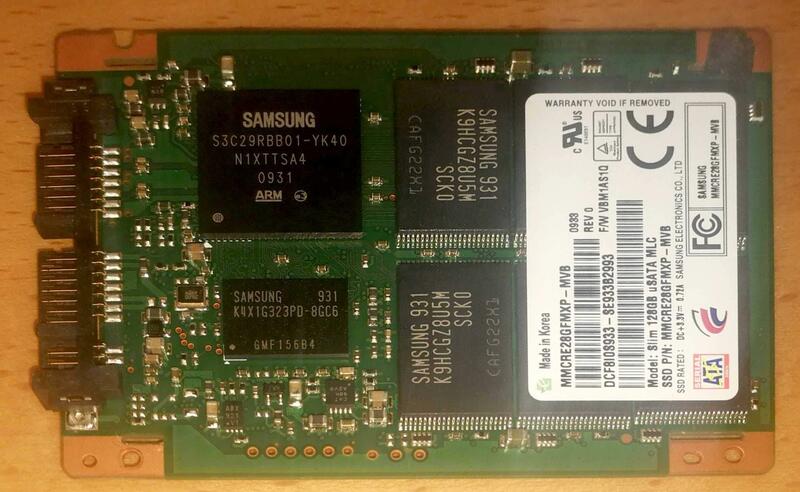 The SSD is accessible inside the X11, it's the bare 2,5" PCB screwed to a frame without the 2,5" SSD housing. So can I pop in another SSD, and if yes, what kind of form factor? OK, sadly my X has now died, too. It just wouldn't switch on anymore, or it would instantly switch off after a few seconds or minutes. The least I could do was to honorably disassemble it into its individual parts, once again admiring the incredible build quality, and take a photo of it. For example, just think of the no less than three separate wireless cards (in the foreground to the right).